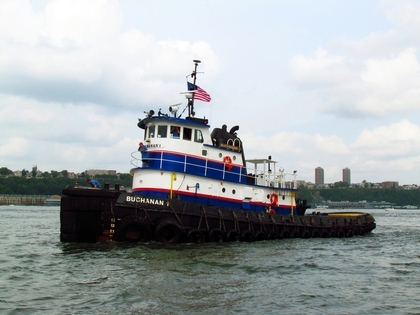 Buchanan Marine Limited is based in New Haven, Connecticut. With additional locations in Norwich, Connecticut; Bridgeport, Connecticut; Port Jefferson, New York; Port Washington, New York; and Norfolk, Virginia. The company maintains a fleet of roughly two hundred plus barge carrying capacity along with their fleet of tugs dedicated to transporting Buchanan Marine Limited's barges.